Keeping up with cases for all the new devices used in schools is never-ending. But Brenthaven is always on top of things and develops great protective backpacks, custom-fit cases, and sleeves for all types of technology devices used in schools. 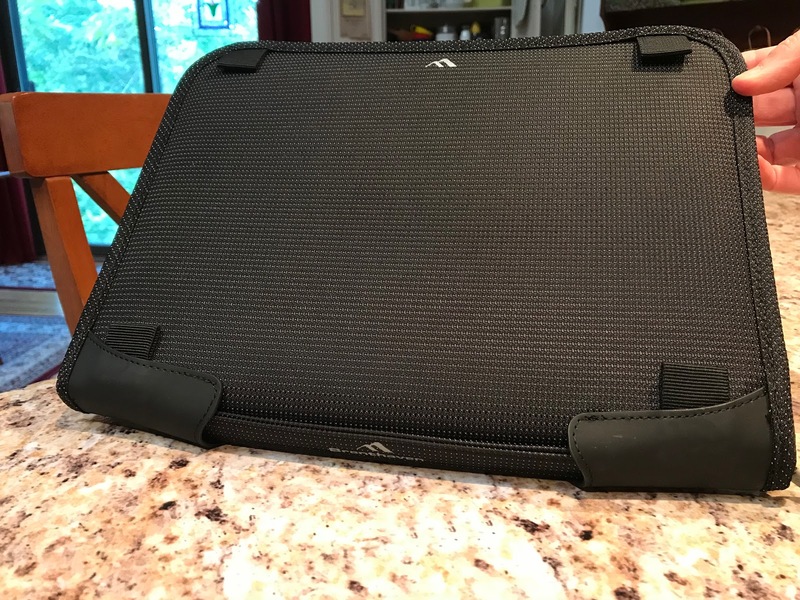 They recently sent me their Tred Zip Folio 11 to review. The Tred Zip Folio is intended to be a full-time, protective case for 11" Chromebooks and laptops. 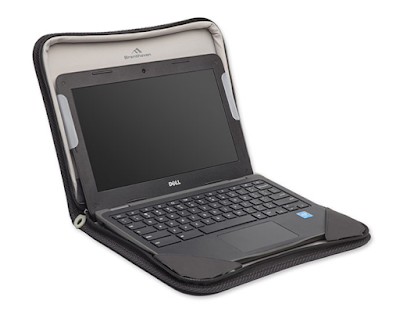 The case allows use, charging, storing, and protection for the Chromebook or laptop. I decided to try something different for this review and made an Adobe Spark Video with my overview of the Brenthaven Tred Zip Folio 11. With the number of 11" Chromebooks and laptops in the schools needing protection, the Brenthaven Tred Zip Folio would be a great choice for student and faculty use. It is thin enough to fit nicely in a backpack, teacher tote bag, and many charging carts. The ability to add a shoulder strap is handy, but adding a storage pouch for the AC adaptor to the back (available from Brenthaven) would also help ensure users can always keep their devices charged. The formal specifications and other info on the Brenthaven Tred Zip Folio 11 follow. Take a look at the Tred Zip Folio 11 information page, request a free sample, ask about custom embroidery options, or request a quote. You can also write to education@brenthaven.com if you have more questions.